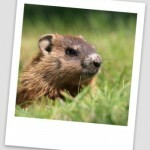 Since 1886, Punxsutawney Phil is the Groundhog who predicts the weather and the arrival of Spring. Here’s how it works. 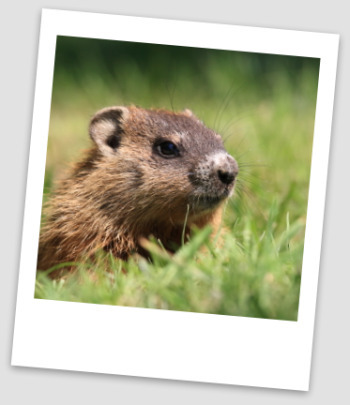 If the Groundhog sees his shadow, there will be six more weeks of Winter, or if he doesn’t, Spring will come early. Now I can just hear the doubters. But it’s all good fun, especially if you believe. Do you really want to take the chance of six more weeks of this market Winter? Not me. I’m already browsing through my Burpee Seed Catalog and scheduling my Spring Listing Open Houses. Throngs of people show up for Pennsylvania Ground Hog Day on February 2nd, including Television and newspaper reporters. So, there you have it. There’s even T shirts and Groundhog Cookies. Didn’t you put your tooth under the pillow just like me? And didn’t you want the guy in the red suit to show up? I rest my case. These are tough times. We need to “believe”. And we need a Plan. call a Realtor – like me! selling a home? I have a Plan. spruce up your burrow home. have a Spring Open House party. don’t be afraid of your shadow. buying a home? Interest rates are low. never build a burrow under a goal post. Contact or call 610-889-5509, Judy Peterson, Pennsylvania Realtor and Chester County, Main Line Pa, Real Estate specialist with Prudential Fox & Roach Realtors. This entry was posted on Sunday, February 1st, 2009 at 9:03 am	and is filed under A Realtors Life, Fun Things To Do. You can follow any responses to this entry through the RSS 2.0 feed. You can leave a response, or trackback from your own site.